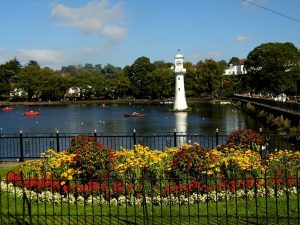 Roath Park Cardiff is one of the most popular and crowded tourist attraction located in the Cardiff, Wales. This beautiful park was honored with the Green Flag award. 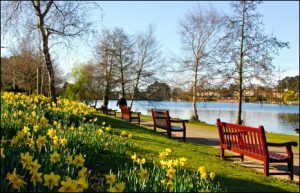 The huge Roath Park was built on the 130 acres. It is divided into six parts which are Conservatory, Pleasure Ground, Lake, Wild Garden, Llandennis Oval, Recreation Ground. The construction is based on the Victorian theme. It is the famous place for fishing and rowing. This historical garden was built in 1887 and officially opened for people in 1894. Note: Above mentioned timings are for park and pleasure gardens. Recreation ground remains open for 24 hours. Public holidays may affect the timings. Closing timing may be different due to sunset timings. Usually, the park closes 30 minutes before sunset. Address: Lake Road West, Cyncoed, Cardiff, Wales, United Kingdom. Lake: This massive lake is the main tourist attraction inside this park. Tourists and locals come here in huge numbers to spend some quality time. Boating and Fishing are allowed here but you have to take the permission first. Llandennis Oval: It is situated in the north of the park. This place is well known for an ancient pond. Pleasure Gardens: Perfect place to spend some time with your friends and children. They provide the facilities of bowls, tennis, and basketball in a parkland setting. This part is present in the south of Eastern Avenue. Recreation Ground: This ground remains open for 24 hours. It is also known as a home of Welsh baseball. They provide Football, Rugby pitches, Children playground and trim trail. Botanic Garden or Conservatory: It is located in the south of the lake. Here you can see the awesome collection of different trees and floral displays. Children’s playgrounds are available in the part of Botanic Garden and Recreation Ground. Boating and Fishing are allowed. You can hire the boat from the boat stage at Roath Park Lake. Sportsfield for Football, Basketball, Bowling and Tennis are available. Terra Nova Cafe: It is located at the distance of 0.6 miles from the Roath Park. Ask Italian: Especially for Italian food lovers. This famous Italian restaurant is situated at the distance of 2.4 miles. Fish & Field: Another place for seafood lovers. You need to take five minutes walk from the park to reach here. We suggest you visit this place in autumn or winter season.